It is odd. I, like many humans, am hard wired to like symmetrical things. When I started playing my lopsided Catalyst and the random kickstand on the Imicis drove me crazy. But, as I played, I got used to them. I never quite adapted to the Exequror engine design but it had the organically grown Gallente look. Caldari ships made a part of my brain hurt but that was also fine. The move to symmetrical ships makes me a bit sad. On one side, they are amazingly beautiful. They also make sense. The mind does tend to love symmetry. On the other, a bit of Eve's past will vanish as well. Kirith is overjoyed. I don't blame him. The Moa really has been a special kind of ugly. It means I am probably randomly complaining. I like, for instance, the Tristan change a lot. I didn't care for the old hull at all. Plus, like many players, I will avoid hulls that are ugly if I can help it. My own favorite ship is a symmetrical hulll. I don't know why I'm sad about it. I don't like the asymmetrical looks. But, I'll miss them. As awkward, weird looking, and down right ugly as they were they were unique too. The new changes are good. They are, for the most part beautiful. Some of it is hit and miss. The Sisters of Eve battleships looks like a kitchen tool to puree food. The new pirate faction battleship looks like it needs some bacon frying on the top and the entire line should come with bumpers to stop them from cutting everything. Imagine if we had actual collision damage. They'd have bonus to hull damage as they bumped into ships. Eve good change can be sad. So do I! I just find myself checking each one to see if it is symmetrical or not first. Aww. :-( I'll have to rename The Ugly Duckling. I'm not sure what to think of the redesign. Yeah, the current Moa's ugly, but at least it's memorable. Nothing else looks that weird. I still miss the old Scorpion. Something about it just whispered "menace". 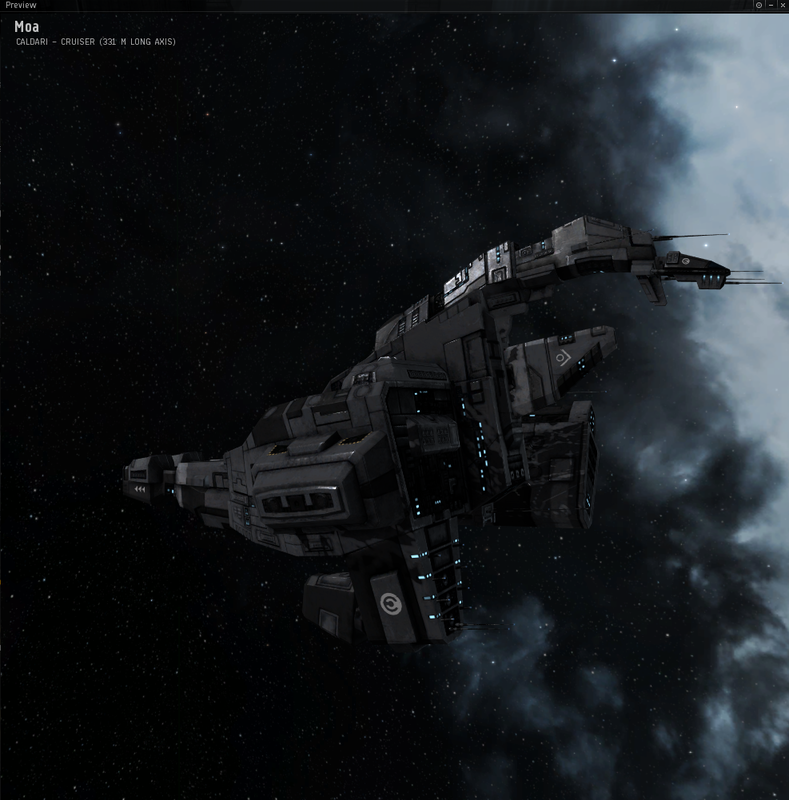 Should be a massive Moa hull self destruct day before the patch...put those ugly things out of their misery. Actually, I kind of miss the old Stabber. It had that junk-yard look that's slowly fading from the Minmatar ship yards. And it kind of looked like a dead chicken. The new one is nice, but I don't think it captures the old spirit of the Stabber. It looks too solid. You don't get the feeling the engines will fly off if you over heat the MWD. kyle congrats on winning a csm seat!